If you need someone to clean your gutters for you, you are in the right place. Our company has years of experience in gutter cleaning and we will make sure your entire gutter system will work perfectly when the rains start. It is recommended that you should have your gutters cleaned a few times a year, especially if you have a lot of trees around your house. 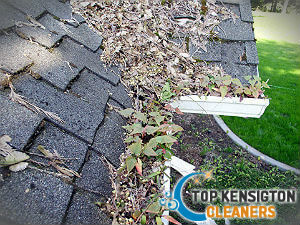 The wind and birds carry around a lot of different debris from the trees, that fall on your roof and into your gutters. All kind of debris – leaves, twigs, pine cones or pine needles, etc. 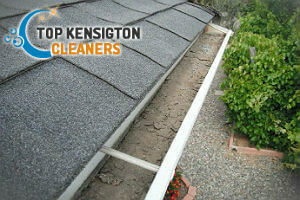 can cause your gutter system to clog, which then leads to much more serious damages and problems. If you live in Kensington, we are your best choice – we are efficient, convenient and affordable. Let our company and our professional gardeners help you protect your home from the damages that the rainwater can cause. If your gutter system ever gets clogged and the water does not flow as it should, it will start accumulating in places, such as your roof and will cause the wood to rot, or it can run down your walls and damage them on the outside, and also on the inside. And if there is an electric panel near the water it gets even more serious and dangerous. Book our professional gutter cleaning service to help you, and we will make sure every little piece of debris and leave is removed from your downpipes and gutters. 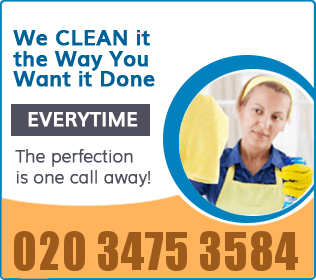 Our gutter cleaning service is one-of-a-kind in Kensington, W8 and our prices are the most affordable ones, make sure you call us for help soon.